Potato is the most misunderstood in the group of vegetables, especially by people who are aiming at losing weight. 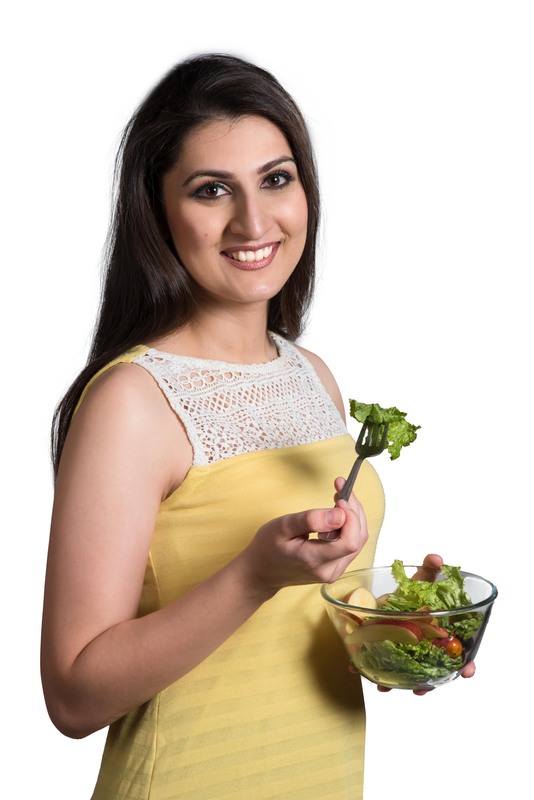 Most people only think about it as a carbohydrate-rich food, and something that makes us gain weight. But this is half the truth. The main thing is how you eat a potato. When potatoes are cooked in a healthy way like baked, boiled, steamed or grilled, they do not make your weight loss plan go haywire. In fact, they are complex carbohydrates and can actually help you lose weight. Cooking techniques like deep frying and shallow frying makes them fattening. Also, combining them with creamy dips and heavy sauces or cheese, will make potatoes fattening. 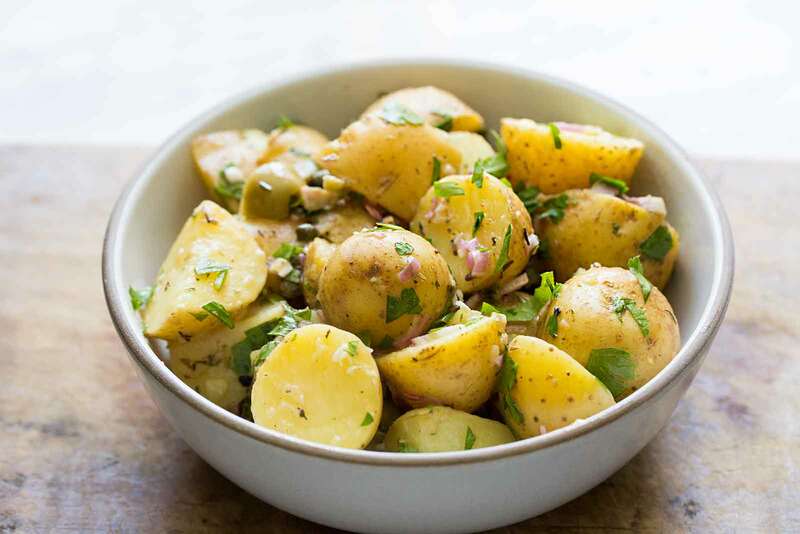 Here are some simple potato-based recipes that will make sure you can enjoy your potato while staying fit and not fat. It is a quick and easy to cook dry vegetable, very popular in Punjab. It is eaten with rotis or parathas along with mango or lime pickle. Heat oil in a pressure cooker. Add heeng and cumin seeds. Add chopped ginger and green chillies after the cumin seeds have started spluttering. Add potatoes, carrots and peas. Add salt and water and close the lid of the pressure cooker. Switch off the flame after 2-3 whistles of the pressure cooker. When all the steam has been released on its own, remove the lid of the pressure cooker and check the vegetable. Simmer the vegetables if the dish is not as dry as you want. Garnish the dish with chopped coriander leaves and serve it hot with rotis or parathas. It is a healthy , easy to make and children’s favourite dish. 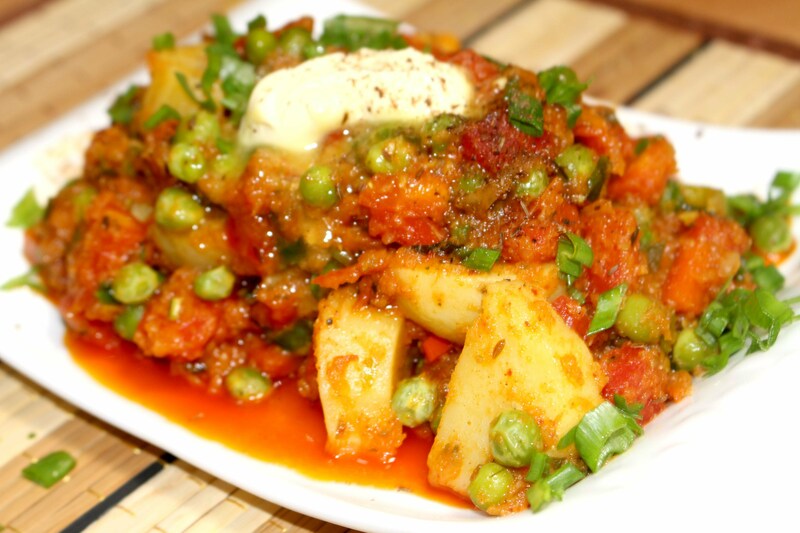 Combine the cubes of potatoes and eggs and add mayonnaise, chopped onion, celery and capsicum to it. Add salt and black pepper according to taste and mix all of it well. Cover and refrigerate it for 5-6 hours. Preheat the oven to 475 degrees Fahrenheit or 245 degrees Celcius. Combine olive oil, basil, oregano, parsley, pepper flakes, marjoram, dill weed, thyme and salt in a bowl. Add potatoes and mix them well so that the seasoning coats them all evenly. 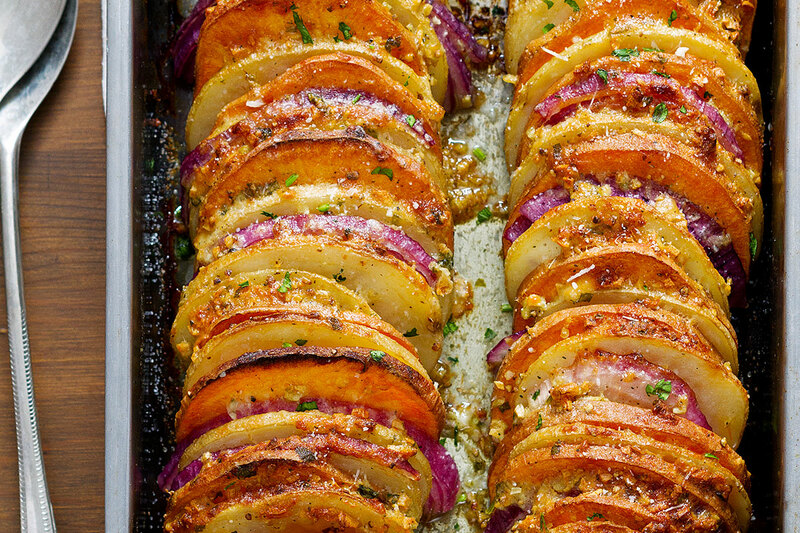 Put the potatoes on a baking sheet or a roasting pan in a single layer. Roast the potatoes for 20-30 minutes while turning them over from time to time so that they are roasted evenly. « Lectin-Free Diet: Is It Really Worth It?